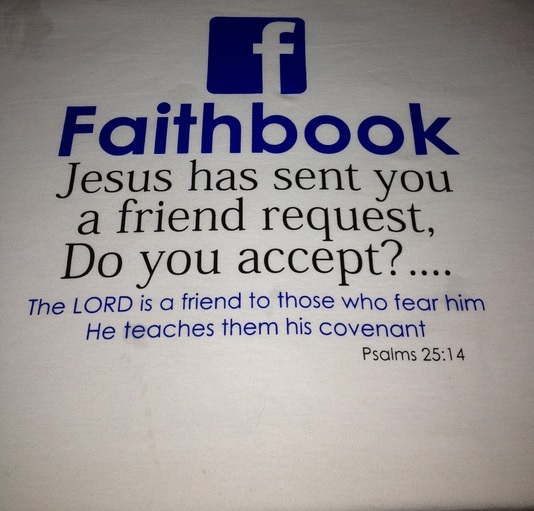 Tee Time: Do you accept Jesus’s Faithbook friend request? Jesus is on social media, apparently. And for the next several weeks I’ll be featuring T-shirts on that theme. For the first installment we have a shirt from kerusso.com and one from soloshop.biz. 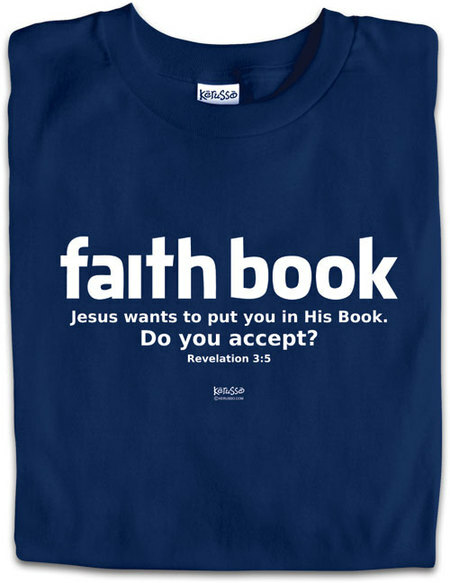 This entry was posted in T-shirts and tagged christian t-shirts, jesus t-shirts. Bookmark the permalink.